QUESTION: I have been following your articles but I am confused by your latest few articles. Previously you were mentioning that there will be a flight to quality as US has the largest debt market in the world. You also mentioned that this flight of quality will worsen the debt crisis in US into 2015.75. However, your recent articles seem to suggest that there is now no flight to quality but shift to private debt instead. If so, does that mean the sovereign debt crisis will not worsen yet but delay into 2025 instead? If capital is going into private debt, does that mean that economy will recover and grow then? ANSWER: There are two flight-to-quality. (1) First you have the natural domestic cyclical flow back and forth between the PUBLIC and the PRIVATE sectors. 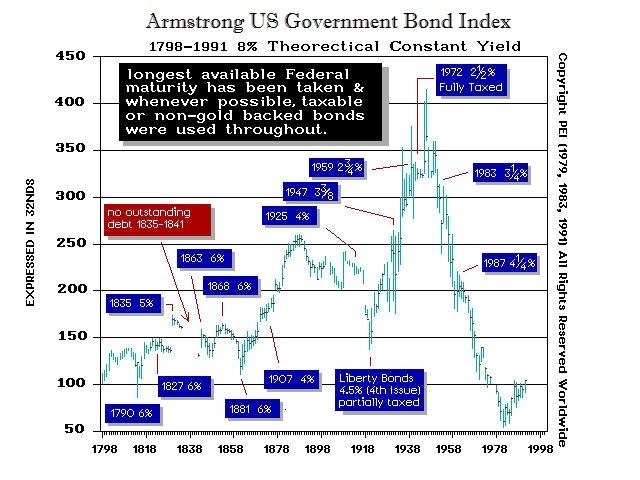 After the 1929 Crash of the Private Wave, capital turned to government and stocks do poorly and sovereign bonds do well. When the wave turned in 1985, the Dow exploded and the market rallied from 1,000 to so far almost 16,000. (2) There are also international capital flows. Capital flees economic and geopolitical turmoil. When the G5 was formed in 1985, they chased the capital concentration out of the USA culminating in the 1987 Crash and it turned into Japan causing the bubble there for 1989. Then capital flows poured into South East Asia and that bubble burst 1994 as capital then turned back to the USA (moderately) and into Russia. When Russia broke in 1998 with Long-Term Capital Management, it the flowed into Europe for the Euro. Capital then flowed into the USA for the DOT.COM bubble 2000, which crashed into 2002. Then it poured into Mortgages for the next 4.3 years and that bubble burst in 2007. It then flew into gold and that peaked in 2011. Then it moved back to the Dow and is shifting away from government bonds. That should peak in 4.3 years or 2015.75. The capital flows change direction every 4.3 years. So the flight-to-quality is away from long-term debt keeping it short-term and into the US private sector as capital concentrates. Just follow the money both domestically and internationally. Regarding the Sovereign Debt Crisis, it can be postponed due to war that distracts people from what government has done. This is possible and it seems like the powers in Washington want to invade Syria. However, Russia will be an adversary and they will risk war with Russia telling themselves Putin is wrong. But it will be Washington who starts the war – not Russia. Putin is responding to the rising aggression of the USA and that seems to be geared at confusing the whole issue of the Sovereign Debt Crisis. During World War II, the Fed was ordered to support the bonds at par. That was lifted in 1951 and that is when the bonds started their free-fall. These people KNOW they have a debt crisis, and that is why they are arming Homeland Security against a domestic uprising. Yet they continue to raise taxes killing the economy. They will destroy the world before giving up any power willingly. I have stated they will NEVER go quietly into the night or the light – they will kick and scream all the way. The best way to buy time is to create a diversion. That they are experienced at. We must respect they can create a postponement for the war cycle turns up in 2014. So unfortunately the timing allows them to do that. This Private Wave does not end until 2032 so sadly they do have the time. But keep in mind that this wave began 1985.65 and the major focal point will be 31.4 years into it or 2017.05 (January). That should be the most they can postpone the start of this Sovereign Debt Crisis with the maximum culmination being 2025 and the optimal being 2020. They will lose. There is no question about that. They may trash the world in the process. You cannot imagine the hatred some of these people have gleaming in their eyes. They trust nobody. As a result – they will do outrageous things under the pretense their adversary intends the same if not much worse. 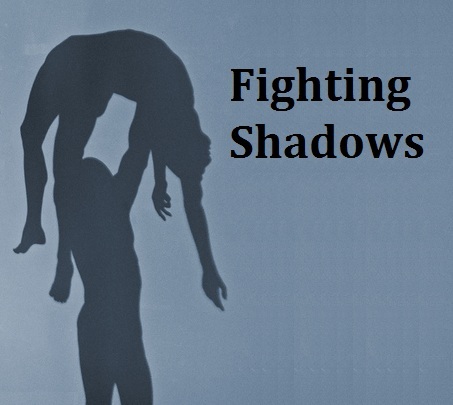 They are fighting shadows in their own mind.